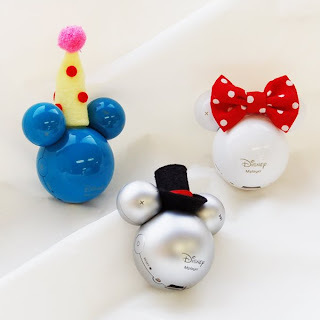 A Rinkya Blog: Mickey Mouse IRiver Accessories! The Mplayer from Iriver is already adorable in the variety of colors and designs shaped like everyone's favorite Disney mouse- Mickey. Mickey's ears are used for volume and selecting songs. The tiny size makes it easy to carry everywhere- on a keychain, around your neck etc. 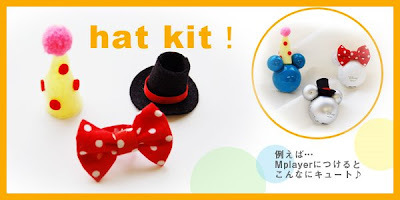 And since Japan likes everything kawaii (cute), you can also purchase a hat kit to make the Mp3 player even cuter! Many varieties available here you can purchase via Rinkya Stores! More Disney Blog Posts Here! !